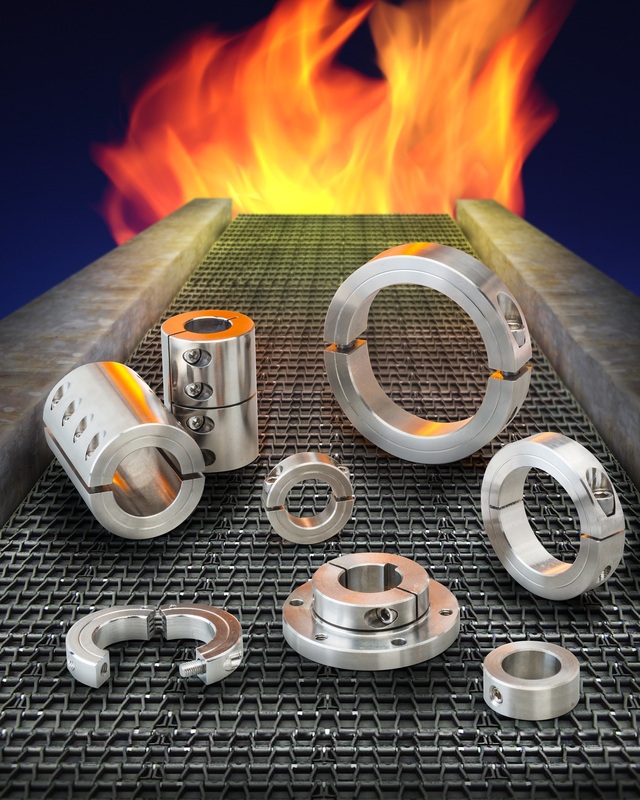 Shaft collars and couplings designed for use in conveyors, furnaces, ovens, oil & gas, and other process environments with temperatures up to 1,650°F are available from Stafford Manufacturing Corp. of Wilmington, Massachusetts. Stafford High Temperature Shaft Collars are priced according to material, configuration, and quantity. Price quotations are available upon request.